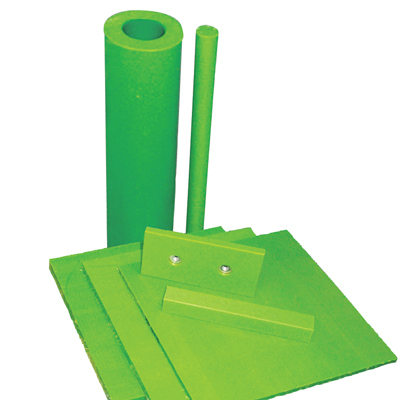 6" OD x 4" ID Nycast® Nyloil® Green Cast Tube | U.S. Plastic Corp.
Nycast® Nyloil® was developed to extend the wear-resistant properties of unlubricated or dry lubricated materials such as MoS2 filled nylons. Will last 5 to 7 times longer than unlubricated or MoS2 dry lubricated cast nylons. Lubrication results in 25% lower coefficient of friction. Exhibit more dimensional stability due to reduced moisture absorption. Internal lubricant provides for faster and easier machining than other nylons. NOTE: Tube is oversized on the OD and undersized on the ID for machining purposes.